Mr. Connolly acted as the Coordinator of the Trauma Response and Threat Assessment Teams for the Waterloo Region District School Board in Ontario for the last ten years of his term which included a team of four psychologists and four social workers that respond to over one hundred schools and communities. The team responds to severe trauma including suicide, homicide, sudden accidental death, anticipatory grief and serious threats and violence. Mr. Connolly is a nationally certified trainer in Threat Assessment with the North American Center for Threat and Trauma Response. He has received Advanced Training in N.O.V.A., the National Organization for Victim Assistance. He is currently serving on the regions Emergency Support Team. Mr. Connolly is also trained in the Canadian Mental Health Associations A.S.I.S.T. Model; a program designed to promote awareness and develop strategies to deal with suicide intervention. Mr Connolly has also been Level 1 certified in Healing the Bereaved Child, through the Center for Loss and Life Transitions. He was an instructor for the University of Toronto and the University of Western Ontario for eight years where he taught the provincial Guidance training course and interpersonal skill development for educators. Mr. Connolly also is an experienced mediator, trained by the Community Justice Initiative. His eighteen years as the Head of Counselling in secondary schools has offered him a wide variety of experiences working with youth. Mr. Connolly has been a classroom teacher, a football and basketball coach, a consultant, and many other roles. In 1996, Mr. Connolly was awarded the Regional Award for Educator of the Year in Waterloo County. In his role as a leader of the Trauma Team, Mr. Connolly has responded to over 20 teen suicides. In 2004, Mr. Connolly initiated and coordinated a Community Suicide Response, as a result of four suicides in one secondary school in a short period of time. Mr. Connolly has since incorporated a system- wide Policy and Procedures on suicide. This protocol includes prevention, intervention and post-vention strategies. 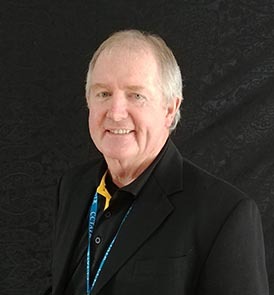 Mr. Connolly has been a ten year member of the community based Waterloo Region Suicide Prevention Council and has been recently been recognised with and award for his contribution to suicide prevention in the Region. He has been invited to consult with several school boards on the topic of teen suicide and significant trauma. Mr. Connolly has presented at numerous conferences, community groups and school audiences which include parents, teachers and students.